Well, it would have been if we hadn’t set a rain check for our photo shoot with John and Tweedy. A few months ago in September–for our Anniversary–John and Tweedy Cudal offered one of the best gifts my husband and I have ever gotten. Memories! 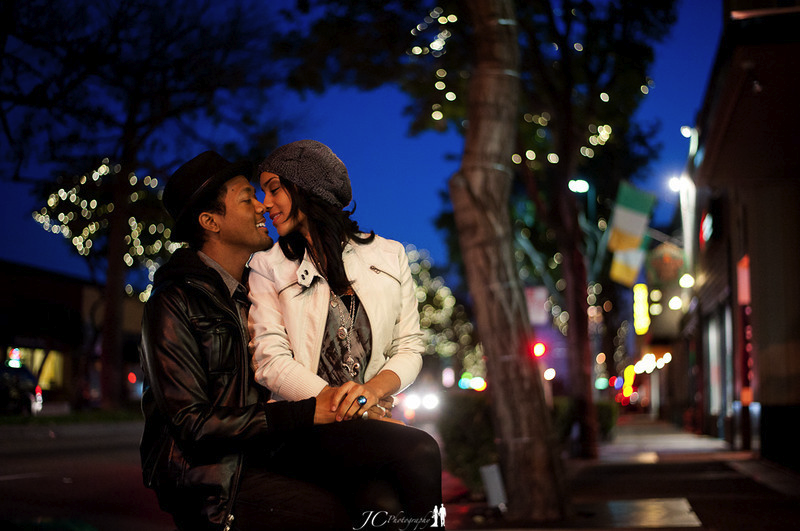 Both partners of this photography duo are professional shutter bugs and gave us a romantic couples session of our choosing. We’ve known them for a while through an organization we work with called DerekStar and they’re some of the most reliable and talented people we’ve come to be close friends with. I guess you can tell by my portfolio that I enjoy having my photo taken, but rarely do I get a chance to share the set with my dashing husband. 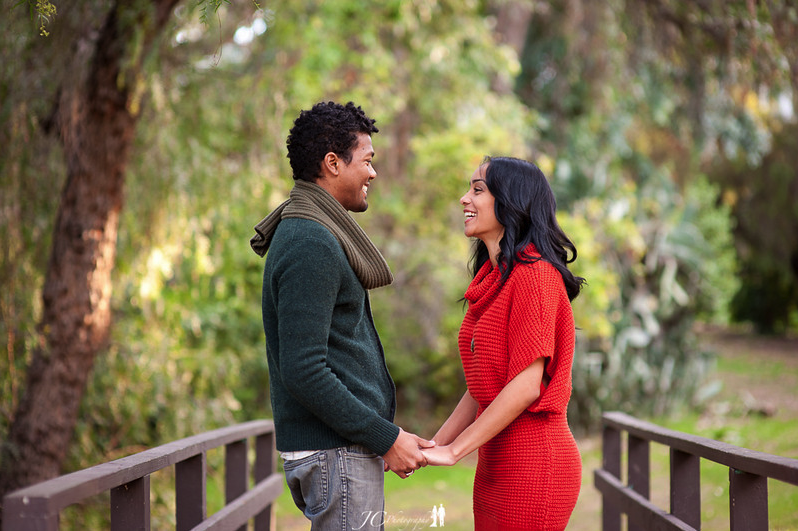 It took us a while to get our schedules in order and set a date with the Cudals, so in late November when the leaves are turning and the air is crisp, we thought it would be amazing to do a Fall/Holiday session in Fullerton, California. We were right, but our plans were off by a few weeks. The date we originally set was tainted with soggy clouds and gloomy weather. Being the professionals that they were, it was no problem to get our reservations set for an early December shoot instead. What a blessing the new date ended up being. I couldn’t have asked for better lighting and scenery. You’ll notice the gentle flares and whimsical atmosphere that John and Tweedy were able to capture as the sun was setting. And Photoshop need not apply; what I saw in the preview screen of their massive equipment was nearly flawless. Within a week, an online gallery was ready for our viewing pleasure. I’m so excited about the outcome that I thought I’d do a featurette on the two of them. Take a gander at the goods, and get to know the couple behind the lens. How long have you been in the photography business and where did you get your start? John: I have been in and out of the business for just a few years. I started clicking images at a church youth camp and found a new passion. My first professional gig was as a product photographer for a small tactical supply company in Rancho Cucamunga, armed with my Fuji S800 point and shoot. A little more than a year later, I worked my first wedding and fell in love with it. Tweedy: This past year I’ve become more serious about my photography. And it all started when my husband gave me my first dslr as a gift, but he obviously wanted me to be as interested in shooting as him. Since then I’ve been able to shadow him during his shoots and book my own as well. It’s incredibly rewarding to make our clients happy. You both have progressed quickly in such a short time. Are you mostly self-taught or did you go through special training for this? 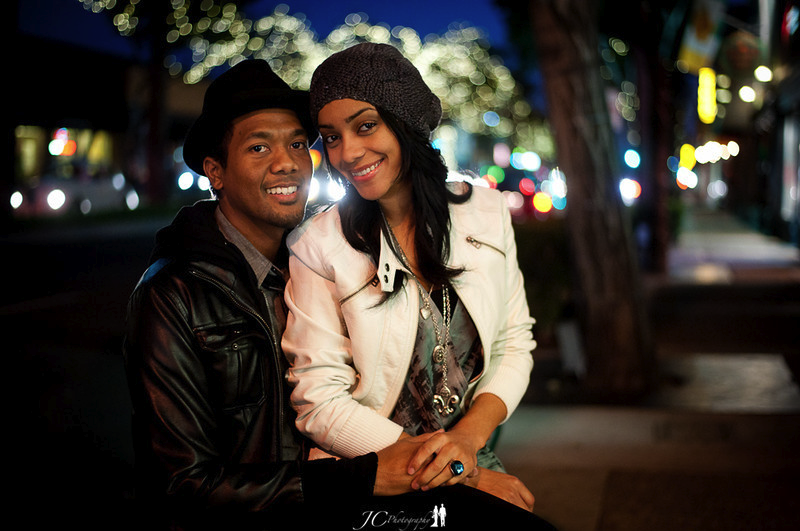 T: My husband who is also my mentor has greatly influenced me in my interest and education in photography. He has exposed me to so many different environments. He definitely has a lot of knowledge to share with me and I’m so grateful to have such a talented and inspiring husband. J: What I learned in photography has been mostly self-taught. I have picked up quite a few skills from other photographer friends. But for the most part, I taught myself. I needed special training as a business man. I have a long background managing a small workforce but being your own employer is a special challenge I had to overcome myself. As a photographer, you want to buy new and expensive equipment as you go. But as a business owner, you learn how to save money and keep cost down. It’s the toughest thing in the world to say no to that special piece of geekiness, but eventually it gets easier. Besides learning on your own like you have, there’s a lot the web has to offer photographers. Any tips on which specific sites to go to for this? J: The sites I used to frequent as a newbie are now relics of the past. Many of them no longer exist or are small online ghost towns. I recommend www.CameraLabs.com for reviews and a fairly active forum with monthly assignments and an amazing staff. What is your favorite type of photography setting and why? 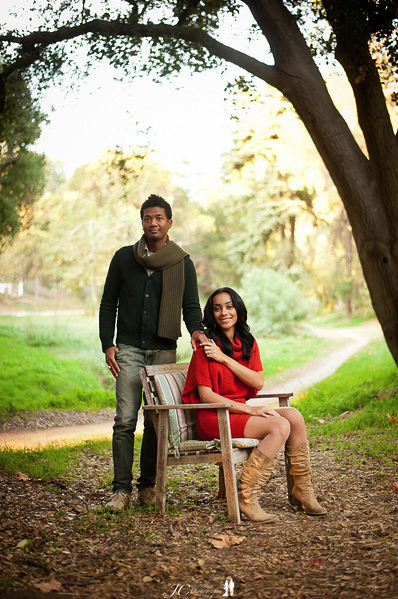 Portraits, fashion, couples, weddings, family, etc. T: I love them all! Each have such different ways of being executed and offer such excitement in photographing. But if I had to pick my favorite it would definitely be lifestyle, because I love photographing the natural beauty of each of my subjects. Especially in an environment with no distractions during golden hour…absolute perfection! J: Weddings are my favorite. A wedding is probably one of the toughest things to photograph due to their unpredictability; lighting, weather, and mood all change very quickly during weddings and it’s up to me and my team to quickly adapt to everything. It’s a very demanding field of work that requires one to familiarize himself or herself with various types of photography. Weddings are the embodiment of every style of photography, the biggest challenge is becoming the swiss army knife photographer. While you’re shooting the bride as a fashion photographer, the product photographer side is figuring out the best way to light their 24 diamond ring. The schizophrenic madness goes on throughout the day but when the dust settles, the ride home is one of the best feelings in the world. I can see that a fast-paced career must be a motivation to better your craft, but what would you say is the importance of having a professional mentor in your life when it comes to growing in your skills? J: Hugely important. I had a very rocky start as a newbie with the product photography, if the photography business was a road I needed a GPS, I needed one badly. I owe a lot of the growth I experienced to my mentors *Seriously, special thanks to Miguel Pola and Greg Bumatay for their guidance in this world. These guys are some of the biggest blessings I’ve experienced as a photographer. Without a mentor, you’re subject to hurt critiques and advice from a million photographers and artists from all over the world. You can pay to attend workshops, and go to photography schools, but the close attention of a mentor and the relationship between him and his apprentice is something you can’t pay for. T: Having a mentor is extremely helpful, because all my questions get answered, all my mistakes get explanations, and his critiques inspire me to perform better and look at things differently in a way I wouldn’t have on my own. I can honestly say that I would not have progressed and been so happy with my work without the help of having a mentor. So I highly recommend any new photographers to really learn their craft through research, practice, and getting in contact with a professional photographer and asking them if they would be interested in having an intern or at the very least answering your questions. Perhaps our readers will want you as their mentors. How can they see more of your work? J: My wedding work can be found under: www.JohnCudal.com. Personal thoughts and other work can be found at www.JohnCudal.net. Please visit my Facebook Fan Page! T: I work along side with my husband so my work is also included in his websites. where do you find the time!? !